I’ve always been of the opinion that almost any dish could be made better with pesto, so needless to say I was very excited to make this. It didn’t disappoint! 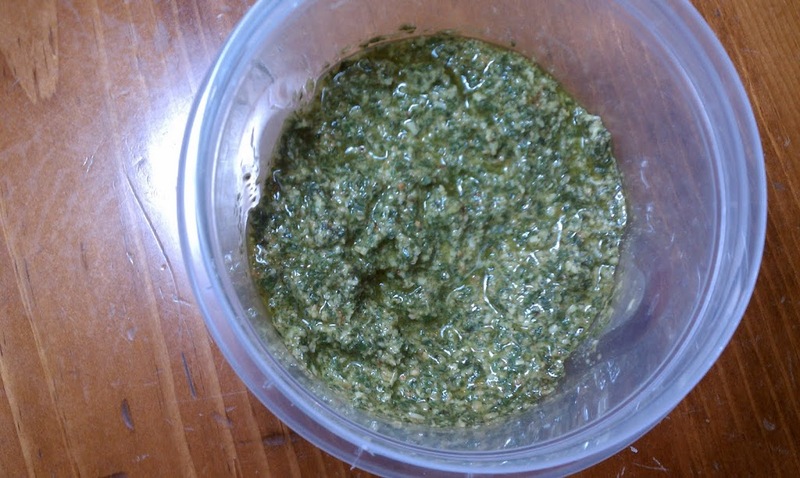 I decided to try my hand at making my own pesto and now that I see how quick and simple it is I can’t believe I’ve never made it before! 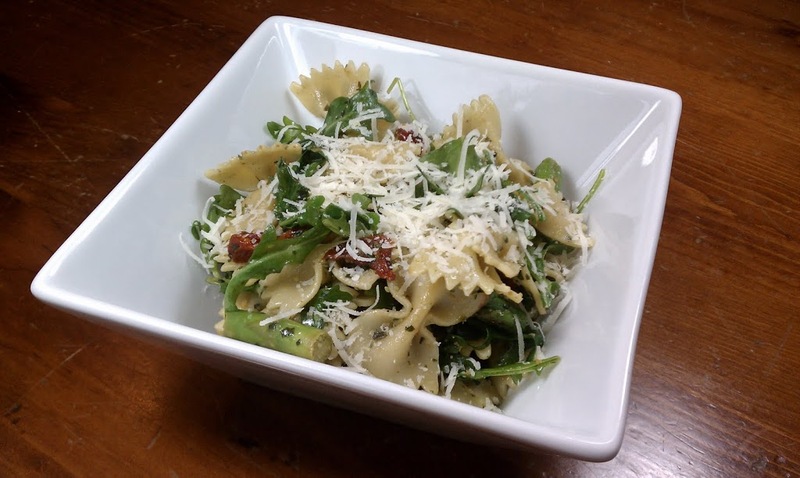 This pasta was delicious and the basil, asparagus and arugula made it taste really fresh. Perfect for Spring! I decided to make it vegetarian, but you could certainly add chicken if you like. The leftover pesto (the pasta only uses half of the pesto) can be used as a dip, a sandwich condiment, a topping for chicken or steak – get creative! It also freezes well, so you could always save it for the next time you make this dish. 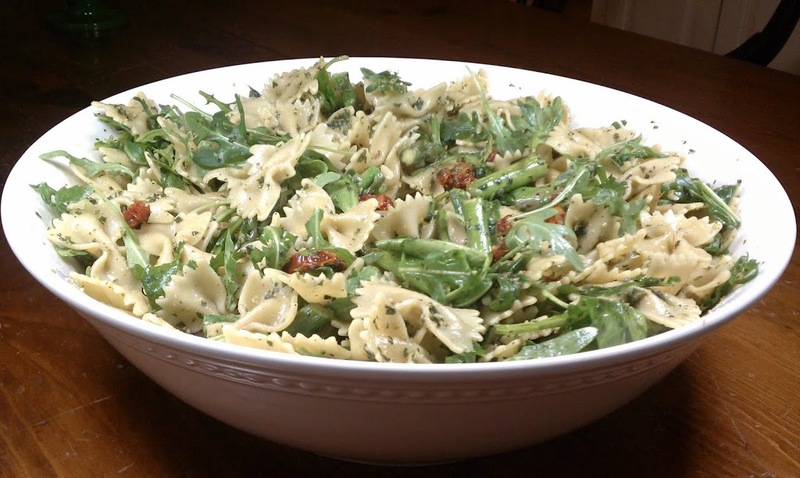 If you love pesto like I do, trust me, you’ll want to! While pasta is cooking, bring the olive oil to a medium heat and add asparagus. Cook for 2 minutes and then add sun-dried tomatoes. Cook an additional 5 minutes or until asparagus is cooked. Remove from heat. 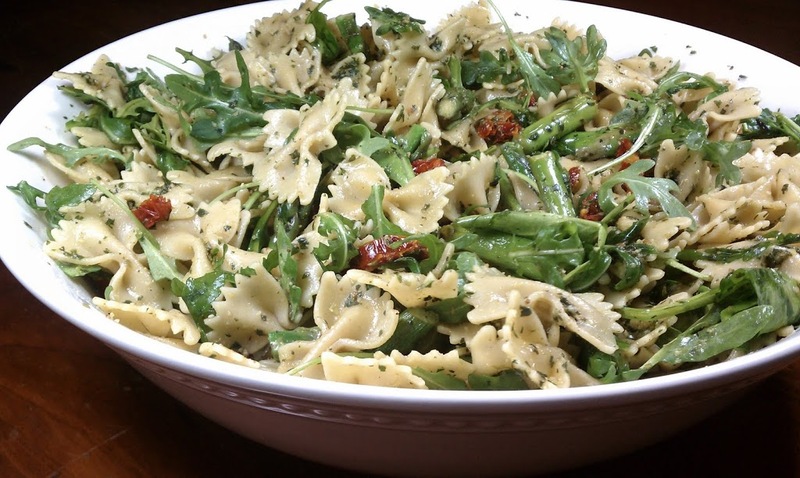 In a large serving bowl, combine pasta with asparagus, sun-dried tomatoes, pesto and arugula and stir until sauce evenly coats the other ingredients. Serve with Parmesan cheese sprinkled on top.